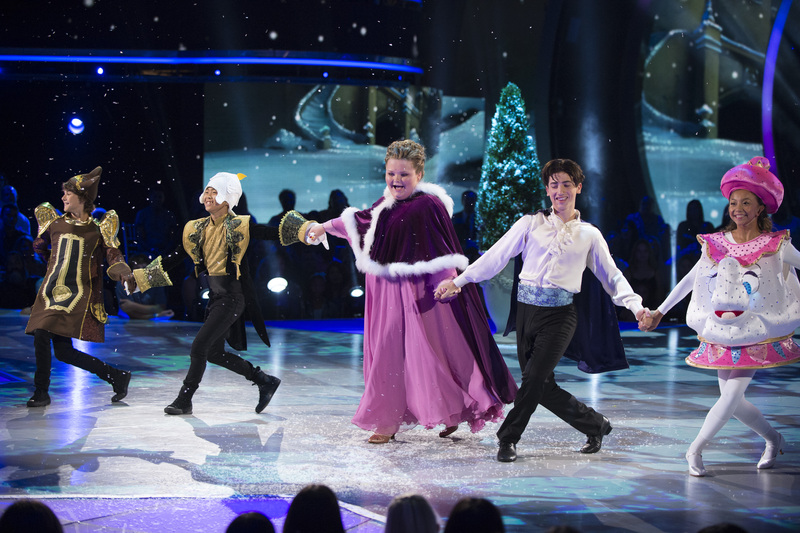 It's Disney Night on Dancing with the Stars: Juniors! The young stars and pros from Dancing with the Stars: Juniors are bringing the magic of Disney to life on the ballroom floor for a very special Disney Night event. 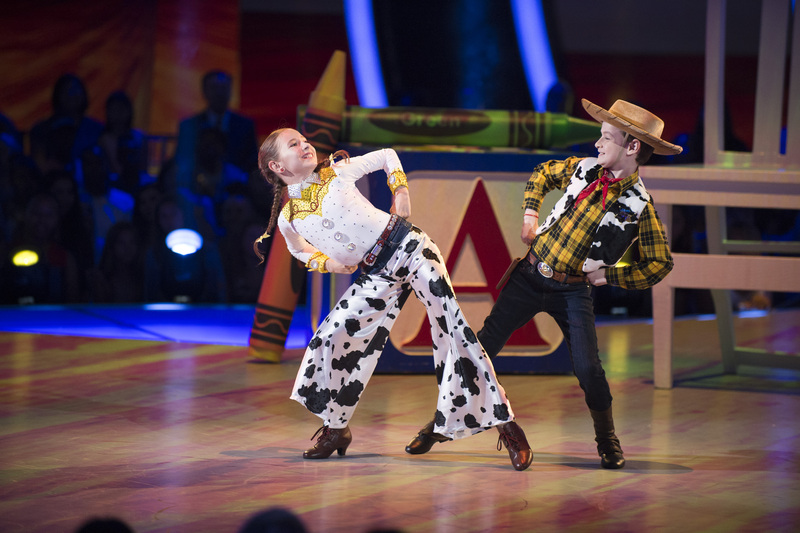 The nine remaining kids and their pro dance partners will transform into some of the most magical characters from their favorite Disney films and celebrate the magnificence of Disney Night on Dancing with the Stars: Juniors, SUNDAY OCTOBER 21 8|7c on ABC. The Juniors night extravaganza will be followed by Dancing with the Stars's live Disney Night on MONDAY OCTOBER 22 at 8|7c. Each couple will perform to songs from beloved Disney films, including the animated classics The Little Mermaid, Aladdin, Beauty and the Beast and Moana, as well as the Disney•Pixar animated features Coco and Toy Story, and more! Each couple will perform a foxtrot, jive, samba, contemporary, jazz or Charleston. At the end of the night, there will be an elimination. The studio audience vote is combined with the judges' scores to determine who goes home at the end of each episode. 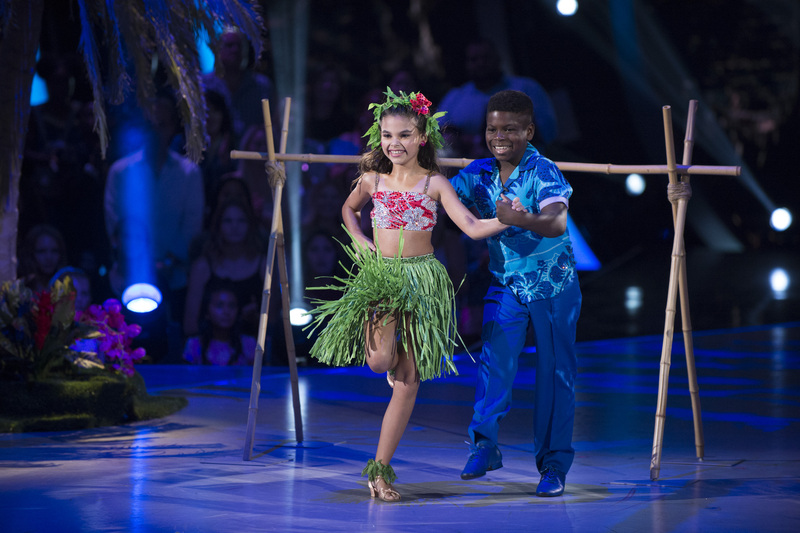 Ariana Greenblatt and Artyon Celestine celebrate Lilo & Stitch with their samba to "Hawaiian Roller Coaster Ride"
Watch the very first Dancing with the Stars: Juniors Disney Night on SUNDAY OCTOBER 21 8|7c and then tune in LIVE MONDAY OCTOBER 22 8|7c to catch Dancing with the Stars Disney Night!